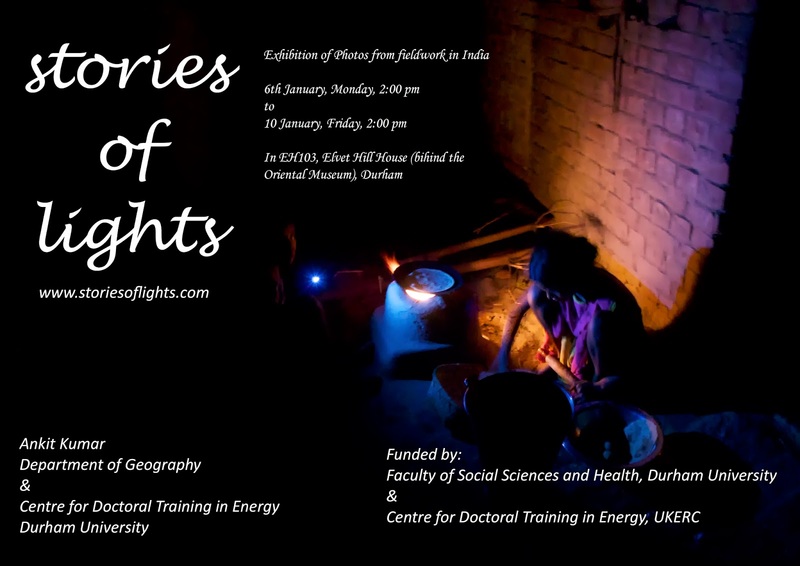 I am organising an exhibition of the photographs from my fieldwork on electricity access in rural India. The exhibition starts on the 6th of January, 2014 and is titled ‘stories of lights’. It presents different forms of lights, lighting instruments and peoples engagements with them. The exhibition will be at the Elvet hill house and will be open to general public. If some of you would like to visit, please do let me know. I would be happy to give a guided tour. The details of the exhibition are in the poster below.